jlv wrote: Nice! How did you discover the move_statue function? I guess it'd be easy to list the properties of "mx" but kudos for working out what the parameters do. Yeah I just listed out the properties with a "for (key in mx)" loop and printed them out with mx.message. I had to guess on the parameters but it wasn't too hard I assumed it would just be the object index and the x,y,z values. Is there any way to set a track object to be at a consistent height instead of based on the terrain below it? as you can see the object jumps around based on the terrain height below it. aaronr5 wrote: Yeah I just listed out the properties with a "for (key in mx)" loop and printed them out with mx.message. I had to guess on the parameters but it wasn't too hard I assumed it would just be the object index and the x,y,z values. Is there any way to set a track object to be at a consistent height instead of based on the terrain below it? as you can see the object jumps around based on the terrain height below it. No good way right now. It's not ideal but you could make an object with one bone and move the bone instead of the object. I'll add a move call that isn't ground relative. Would sounds be possible to add? I think ambient noises could add a nice touch to the game! Can we use gifs as textures? or do flames need to be a sequence for example. Jlv, any prevision for MXS support Light Shadows? JLV I know you had discussed this before in a previous topic but I cannot remember the outcome. Is there any changes that can be made to keep people from timing out in organized races due to extended load times created by SCRAM files? Yes, but first I want to do other stuff like make a script to export armatures/keyframes from Blender. Really looking forward to ditching the sprite flaggers. AWood wrote: Can we use gifs as textures? or do flames need to be a sequence for example. You can do animated flames with the current seq files. What the script will do is let you control the timing so you can run the animation at the appropriate time. You wouldn't want to use GIF because it doesn't support alpha. The transparency is all or nothing. Paulo#33 wrote: Jlv, any prevision for MXS support Light Shadows? Sorry, no shadow buffers yet. Hi Im Skyqe wrote: JLV I know you had discussed this before in a previous topic but I cannot remember the outcome. Is there any changes that can be made to keep people from timing out in organized races due to extended load times created by SCRAM files? Using smaller files will help. I bet most people would prefer lower res skins for other people's bikes. Or just don't use scram files. I could make a faster/weaker file scrambling algorithm. Not sure if it'd be worth the time though. Either I setup the same exact bone structure in blender as you by luck, or the placement doesn't matter. With your same pose rotations duplicated the cube moves exactly the same as yours. Does the position of the bones in the armature matter or is that overwritten by the center and position values in the pose_statue function? Where does the count of 6 come from? 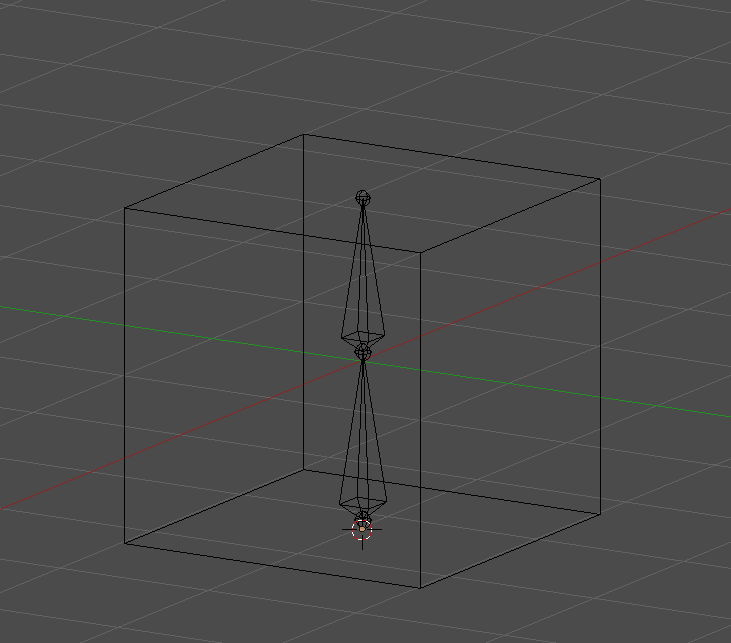 I have 2 actual bones on the armature, and 8 vertices. I was able to add 2 more for 8 (just adding to count and center lines) adding more lines to bone_rotations as well but saw no effect. I'm guessing each line in bone_rotations is x,y,z for each bone. I did play with the values for positions, centers, and rotations but am having a hard time telling where each correlates to on the model. Going to make some documentation but I need to hurry if I want to get 1.13 done before the supercross seasons starts! yzmxer608 wrote: Either I setup the same exact bone structure in blender as you by luck, or the placement doesn't matter. With your same pose rotations duplicated the cube moves exactly the same as yours. Does the position of the bones in the armature matter or is that overwritten by the center and position values in the pose_statue function? You did come up with the same bone structure I had. The placement does matter but since the script only rotates around the Y axis it doesn't matter if the bones have different positions along Y. For each vertex in the affected mesh, the bone shader subtracts the center from the vertex, applies the rotation and adds the position to get the final location for the vertex. It does that for each bone and the final position is the weighted average according to the bone weights in the mesh. yzmxer608 wrote: Where does the count of 6 come from? I have 2 actual bones on the armature, and 8 vertices. I was able to add 2 more for 8 (just adding to count and center lines) adding more lines to bone_rotations as well but saw no effect. I'm guessing each line in bone_rotations is x,y,z for each bone. I did play with the values for positions, centers, and rotations but am having a hard time telling where each correlates to on the model. If you mean bone_centers and bone_postions, the count of 6 is the x, y and z coords for the 2 bones. bone_rotations is a 3x3 matrix for each of the 2 bones. Thank you! I'm guessing it's x1, y1, z1, x2, y2, z2 for centers and positions, and 111,222 going down in the matrix? BTW, you can answer later if you want post #13,000 to be something special . Just quickly - what is the format for mx.move_statue? I knew scripting would bring you back! The parameters seem to be like this "mx.move_statue(statue_index, x, y, z, rotation)" where statue_index is the index of the statue you want to move in the statues file and x, y, z are the location you want to move the statue to. statue_index is zero based, just a fyi for everyone else.